Dr. Kerem Ozer graduated from Istanbul University School of Medicine and completed his residency as a MeRIT scholar in Internal Medicine at Baylor College of Medicine in Houston. He did his fellowship in Diabetes, Endocrinology and Metabolism at Baylor College of Medicine and MD Anderson Cancer Center. Initially as a fellow and later on as a faculty member at Baylor, he conducted research on developing gene therapy methods for the treatment of Diabetes. While in Houston, Dr. Ozer also saw patients and taught residents and fellows at a clinic specializing in complicated cases of Diabetes and Hormonal disorders. 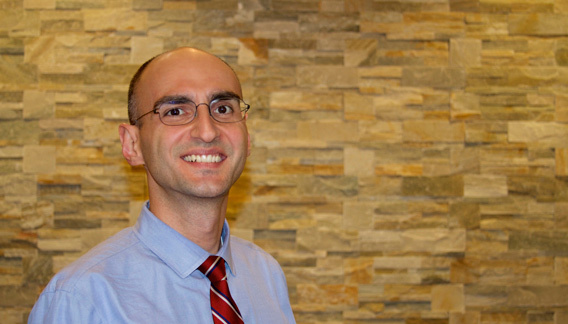 Dr. Ozer believes in providing the best and most up-to-date care in a comprehensive and collaborative manner. He places great emphasis upon making sure a patient fully understands his or her condition, which is important for achieving and maintaining optimal health. He enjoys travelling and exploring Central Texas with his wife Jennifer and their two dogs, Penny and Milo. He speaks Spanish and Turkish. Active in clinical research on Diabetes, Obesity, Thyroid disease and low testosterone . National Level Speaker and Educator for a number of topics in the areas of Diabetes, Cholesterol problems, Metabolism and Osteoporosis. Contributor to medical textbooks including Conn’s Current Therapy and medical websites including medscape.com .